Welcome to the #ChickLitMay Book Boyfriend Blog Hop, brought to you by Chick Lit Chat, where you get to vote for your favorite book boyfriend—not just for fun, but for PRIZES! (Woop woop!) Details later. Let’s talk about book boyfriends first! Useful, interesting, fun, and—best of all—sent out only once in a while. No monster spammage—yay! Sign me up! Oh, It’s a Busy Valentine’s Day! 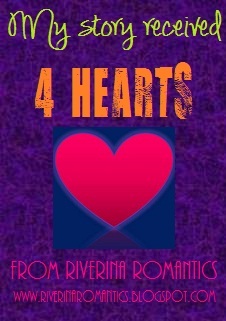 Riverina Romantics gave BY DESIGN 4 out of 5 stars!